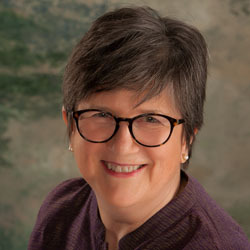 General Resources for Therapy - Portland Jungian Analyst - Carol Walnum, MA, MBA, LPC. Perfect Daughters – Adult Daughters of Alcoholics by Robert Ackerman. Survival and recovery from the inner drive to be perfect when your family of origin is alcoholic. The author notes psychotherapy can be useful in coping with these issues. The Rag and Bone Shop of the Heart: Poems for Men by Robert Bly, James Hillman, and Michael Meade. A classic poetic and symbolic examination of the masculine for all. Also, Iron John by Robert Bly. Classic, helpful resource for male growth. Recommended. Children of the Self-Absorbed by Nina Brown. Protection and coping strategies for a more integrated sense of self for adult children of narcissistic or self-focused parents. A Little Course in Dreams by Robert Bosnak. A sublime, readable introduction to symbolic attitude and the language of dreams. Turtles All the Way Down by Green. Anxiety and OCD told from the point of view of young adults. Helpful. Trapped in the Mirror by Elan Golomb. Presents examples of narcissistic/co-narcissistic parent-child relationships. Absent Fathers, Lost Sons – The Search for Masculine Identity by Guy Courteau. This clinician’s readable work focuses on missing links in men’s lives and regaining them into manhood for men today. Very helpful. Jungian slant. Unholy Hungers – Encountering the Psychic Vampire in Ourselves & Others by Barbara Hort. Via story, myth and insight, informative, readable help in recognizing those who never received love, yet use power instead in relationships to rob others of their vital energy. Inner Work, by Robert Johnson. A highly-regarded and readable introduction to working with one’s dreams and active imagination. Finding Meaning in the Second Half of Life by James Hollis. Bridging turbulent shifts in life between the ages of thirty-five and seventy when we question fundamental aspects of ourselves and others. The Eden Project: In Search of the Magical Other by James Hollis. A call for individual growth rather than rescue by others. Excellent resource for work on relationships. Why Good People Do Bad Things – Understanding Our Darker Selves by James Hollis. Looking at the split between our intentions and outcomes, the concept of Shadow, and how it works in our lives, relationships, and culture. Waking the Tiger and Trauma and Memory, two books by Peter Levine. The body as the archive of trauma and the vital need to heal both physically and psychologically. The Wounded Woman by Linda Leonard. Powerful, helpful perspective on the father-daughter relationship. The Way of Woman by Helen Luke. Essays exploring problems of living from a psychological perspective. Change Your Brain, Change Your Life by Daniel Amen. Learn what prematurely ages the brain; what helps the brain; and helps you live a healthier life. The Masculine Self by Christopher Kilmartin (5th ed., with Andrew P. Smiler) an academic approach, and Overcoming Masculine Depression: The Pain Behind the Mask, also by Kilmartin, a book for therapists that may help general readers as it is readable. I’m Working on It in Therapy by Gary Trosclair. Readable, engaging book by this Jungian Analyst, focuses on how you can engage with and be more effective concerning the process of therapy. I highly recommend this book as a resource to people never before in therapy or who wish to enhance their therapy process.